The Vineyard Collection features smooth curves and a wide base for stability. 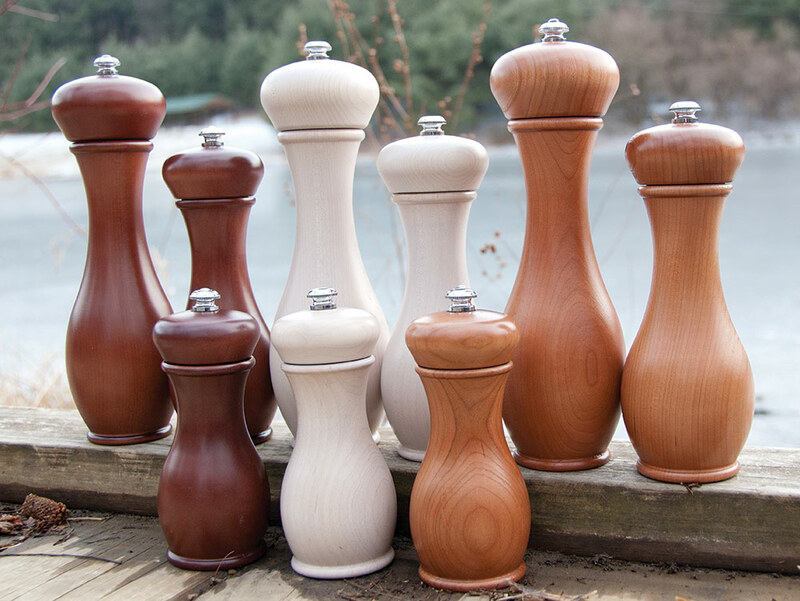 The Vineyard Collection Peppermill series is available in 3 sizes – 5”, 7” & 9”. The design features smooth curves and a wide base for stability. These pepper mills and salt mills are each available in 3 sizes, and features 2 gorgeous new finishes: Antique White and Antique Cherry. An old fashioned, but modern look!